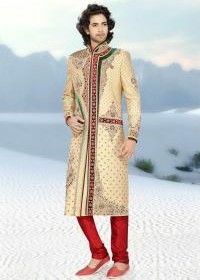 An outfit that screams elegance, the Indian kurta pajama has been a favorite among men for centuries. With fashion, the outfit has undergone enough changes to give you a new look every day of the year. And with the creativity of fashionistas in the mix, a lot more can be done with a kurta pajama to create an entire new look altogether! From the kind of fabrics used in the making to the designs and patterns, you can find a plethora of ways to style this outfit without it seeming too monotonous. Check out the different looks you can flaunt the next time you wear one! If you have steered clear of kurtas because of your physique, there is one fact that everyone must be made aware of. The right length and style of the kurta can make you look taller, buffer, or leaner than you are, depending on how you would like to be viewed. Here’s what you can try out! Long kurtas: Kurtas that are lengthy can make you look taller than you are, being perfect for those with a penchant for height. You can pair long kurtas with pajamas or a churidaar. Semi-shirt kurtas: Styling kurtas with buttons at the top, semi-shirt kurtas are perfect for casual wear and everyday use. Perfect for every weather, these kurtas can be paired with denims or casual pants and corduroys. You can also pair cargo pants with these kurtas for a dashing western look. Short kurtas: Short kurtas are without a doubt the trendiest clothing item a man can own. A perfect substitute for tee, you can wear the short kurta with a dhoti if the occasion calls for it or wear a simple pair of denims to for a casual look. These are certainly your best options for a summer look. Kurta pajamas, albeit perfectly elegant on their own, can look a great deal more regal with the right accessories to go with it. From jewels to add-on clothing, you can try out styles of your own and start a trend for many others to follow. Shawl: Like men’s sherwanis, there is no reason why you cannot pair a dupatta with a kurta pajama. If it is a designer kurta pajama you are flaunting at a wedding or an event as important, you can pair silk dupattas, or drape a shawl in a classy way to accentuate the elegance of the outfit you have on. Gemstone accessories: Gem stones are yet another additions to men’s ethnic wear that manage to enhance the beauty of the outfit. With sparkling stone pendants that give your ensemble a regal feel to metal bracelets that grace your wrist, you can try out a number of accessories that go with a kurta pajama and manage to give off an ethnic feel. Nehru jackets: A Nehru jacket paired with a kurta pajama is sure to add to the beauty of the outfit when crafted using the right fabric. If you’d rather not wear it for a particular event, you can always take it off and flaunt just the kurta pajama. Seasons come and seasons go, and so do fashion trends. If you love flaunting the latest trends, here’s what you can do while donning a trendy kurta pajama in different seasons. One of the best things about winters for men is that keeping with the latest fashion trends for ethnic wear becomes as easy as a stroll in the park. And since most weddings take place in the winters, there is so much that men can do to style their designer kurta pajamas right! Opt for kurtas with longer sleeves that are made of thicker fabric. Avoid cotton. Make sure you choose bottoms that offer some semblance of warmth rather than one that leaves you shivering in the cold. A dhoti might be too airy to don during the winters. With summer months come the annoyance of dealing with tremendous heat, perspiration, staying cool, and keeping with the trend despite the odds. So, here are a few summer dressing tip we have for occasions when you plan on wearing men’s kurta pajama. 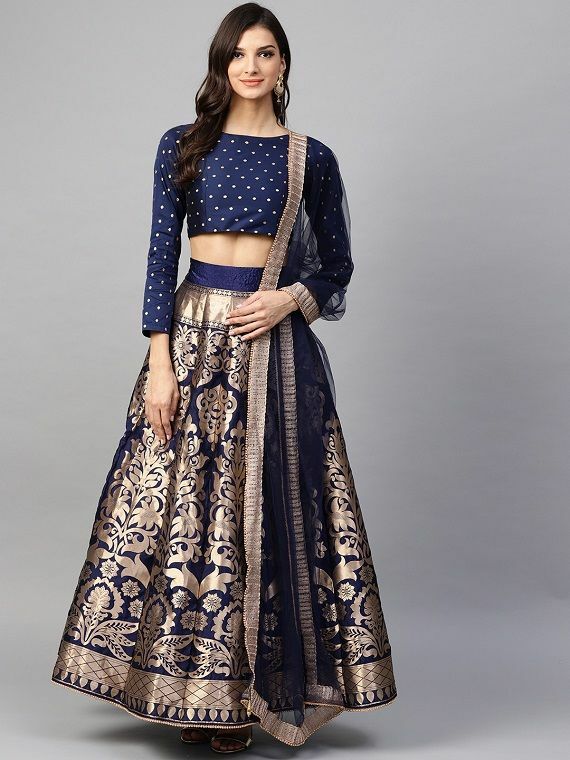 With monsoon being a season that combines all the things you hate about the summers and the winters (simply put, the extreme cold and the extreme heat), finding the right outfits to flaunt during important events may be difficult to do. Here’s what we suggest! The evolution of fashion has given one enough reasons to try their own experimentations with ethnic looks. For men, a kurta needn’t be paired with just a pajama. You can try a number of other bottom styles with your kurta, depending on the occasion as well as your confidence to pull off that look. The most common bottom-style paired with a kurta, pajamas are no doubt comfortable and easy to wear. These pajamas are straight-cut, giving a perfect finish to your look on a snugly fit kurta. Who doesn’t find dhotis fashionable in today’s day and age where vintage is making a comeback as a fad? Where dhotis were once considered to be an old man’s clothing item, they have taken the world by storm with the many variations to the attire. This is yet another trend that has worked wonders in giving kurtas a whole new look. Perfect for long kurtas, churidaar pants make one look taller with the bunching of fabric at the ankles giving an elegant look. An indo-western look with a pair of corduroys and a kurta makes perfect sense together! Pair a sober colored bottom with a kurta in a loud shade. Along with contrasting the culture style of the outfit, you could go for patterns and shades that offer a splendid blend even though the contrast. A casual look with a kurta is perfect for an ordinary day out. What better than a pair of jeans to go along with a cotton kurta? Whether you are fond of long kurtas are shorter ones, every kurta type goes beautifully with denims. A lot of people believe that an ethnic must only be paired with another. However, mixing western wear with traditional outfits can create a look that turn heads your way wherever you go. Here’s what you can pair with your kurta pajama! Popular as the Indian ethnic footwear, mojdis are intricately designed shoes that beautiful encase your feet, giving off a vintage yet elegant feel. Men can find these shoes in numerous shades such as silver, gold, and more, to blend well with their kurta pajama. For those who prefer airing their feet rather than enclosing them in a closed pair of footwear, a classy pair of sandals will work wonders in taking your Indian ethnic look to the next level. You can never go wrong with leather shoes, no matter what your style of clothing. Whether you wear ethnic wear for men or formal western wear, leather boots go stunningly well with any outfit. Who can wear a Kurta Pajama? 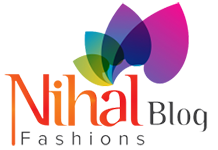 With kurta pajama evolving, one can find the best kurta pajamas online not only for men but also for little kids. 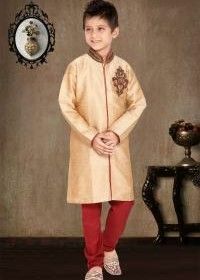 Along with snug fitting kurtas for men, parents can find kurtas for little boys in varying sizes that their children can flaunt at family functions, traditional occasions, and other celebrations. Where can you wear a Kurta Pajama? Kurta pajamas need no special reason to be flaunted. From casual places to special occasions, you can wear one any time of the day or season, without being out of trend. Weddings see the most number of people dressed in their ethnic best. 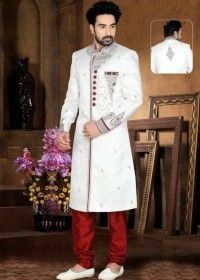 If you have a wedding to attend soon, finding a comfortable yet styling kurta pajama would be the right choice for you. You can find lovely designer kurta pajamas that would suit the occasion perfectly. With casual and simple kurta pajamas available, you can don on a plain cotton kurta with a comfortable pair of pajamas to wear when you step on a day’s outing. The number of cultural events Indians see in a year is higher than any other culture. This is enough reason to get your wardrobes filled with kurta pajamas for one occasion every month. Regular kurta pajamas are the perfect formal wear for offices and corporate meetings. Cotton or linen kurtas, being ideal for every occasion, can be worn to work daily and allow you as much flexibility that is not possible with other formal attire. Where can you buy a Kurta Pajama? 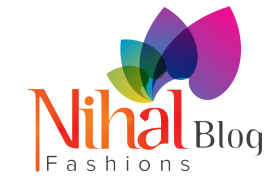 While most stores have a great inventory of stylish and designer kurta pajamas, you can browse through the most gorgeous collection of ethnic wear for men online at Nihal Fashions – the one-stop destination for all Indian ethnic wear. 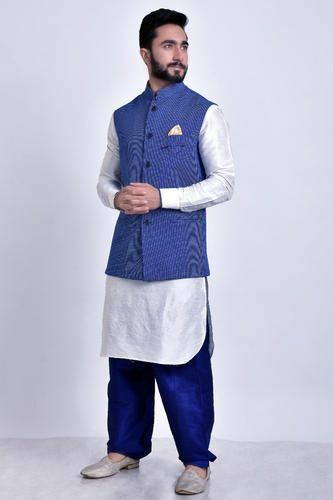 From dhoti kurtas for men and Pathani suits to wedding kurta pajamas and more for special occasions, you can find it all in designs that are sure to make you the star of every event.